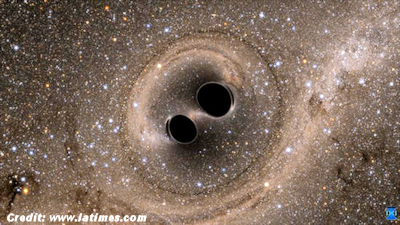 In a groundbreaking discovery, scientists say they have finally detected gravitational waves — ripples in space-time from a violent collision 1.3 billion light-years away — that serve as a resounding confirmation of a prediction made by Albert Einstein a century ago. The detection, made with the Laser Interferometer Gravitational-Wave Observatory, known as LIGO, is the culmination of a decades-long search for signs of this elusive phenomenon. The discovery, described in a paper in Physical Review Letters, will open a new window onto the universe, said LIGO Executive Director David Reitze.